Video: Go to Video menu link to see a 15 minute video showing the life cycle of young Albatross chicks located in residential neighborhoods on Kauai. The video shows the mating dance and social interaction of the adults, as well as the actual hatching of an egg and the emergence of a new chick. The video culminates with the fledging of two chicks, their first flight leaving land to live on the open ocean for 3-4 years. 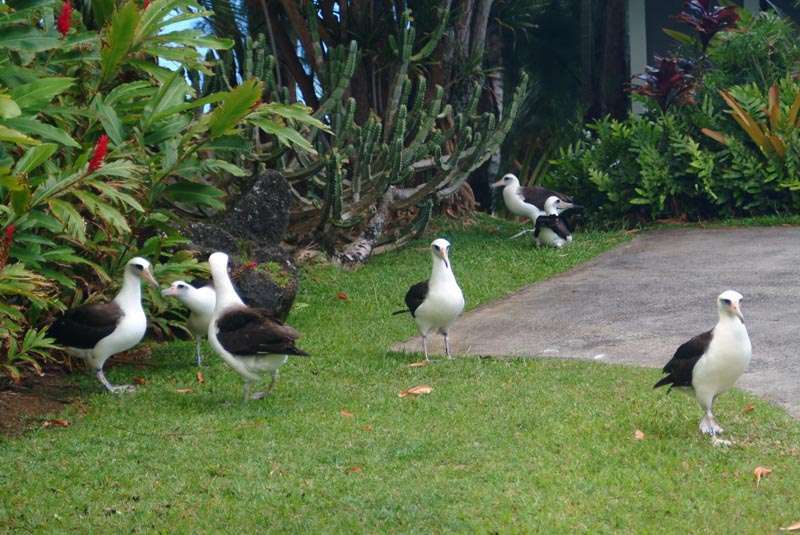 Although they are wild seabirds, the Laysan Albatross are comfortable in the inhabited neighborhoods of the north shore of Kauai. This site is dedicated to teaching about these magnificent birds we are privileged to see as we go about our daily routines. Long distance travelers: Adults fly thousands of miles, often to the Arctic, in a single trip to feed themselves and gather food for their young. 60 year old mom: "Wisdom", a female on Midway Island documented to have lived more than 60 years, is still laying eggs and raising young chicks. 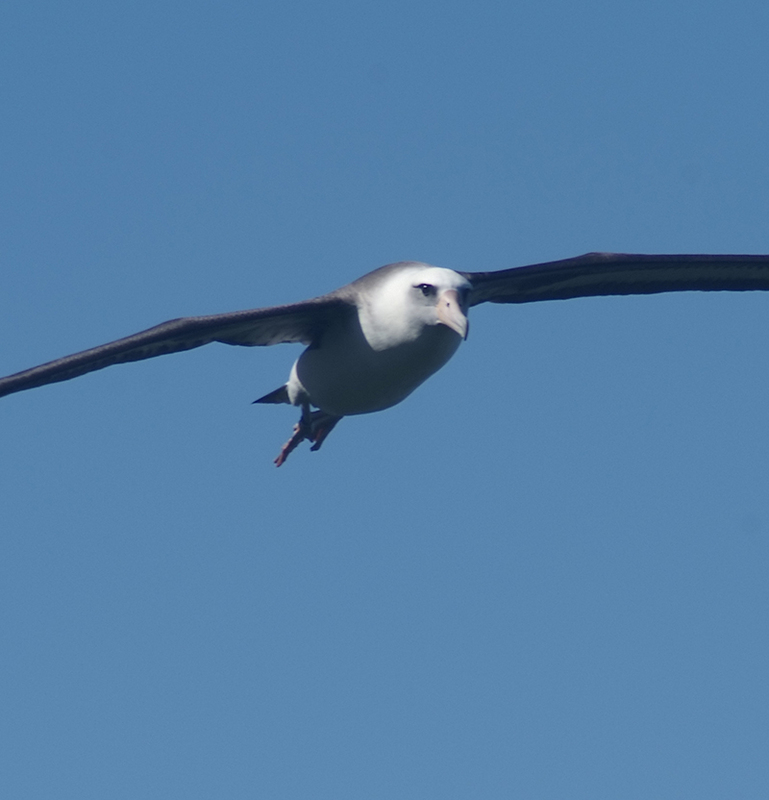 Leap of faith: The first flight for chicks in Kauai is from the top a 170 foot cliff, when they leave to live on the open Pacific waters without touching land for 3-4 years. Ultimate GPS: Returning chicks often come back to the same yard where they hatched, in spite of thousands of miles traveled and years away from land.